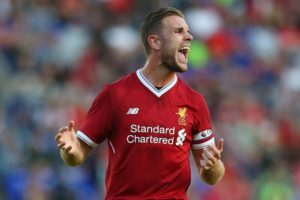 Liverpool captain Jordan Henderson is most likely to start against Porto after he was rested on the weekend. Photo by Agencies. Basel looks likely to be without defensive midfielder Luca Zuffi as the Switzerland international struggles with injury, while goalkeeper Germano Vailati remains a long-term absentee. 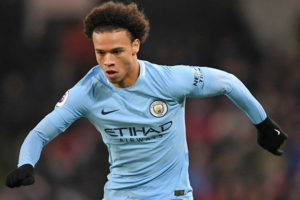 Manchester City may be boosted by the surprise return of German international Leroy Sane who has been included in the match day squad. Gabriel Jesus (knee) and Benjamin Mendy (knee) will both miss Tuesday’s clash. David Silva remains a doubt for the game after he missed Saturday’s 5-1 win against Leicester City with abdominal issues. Record signing Aymeric Laporte is a slight doubt after pulling out of training on Monday. FC Basel finished second in group A which consisted of another Manchester side, Manchester United and will be high in confidence as they defeated City’s sworn enemies 1-0 here a little less than three months ago. For Man City, the table leaders in England cruised through group F winning all but one game and subsequently topping the group. This will be the first meeting between these two sides but Basel have won four of their five home fixtures against English opponents in the competition. 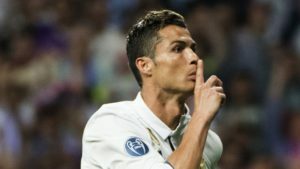 The home side will also take confidence in the fact that their opponents have won only one of their six away games at this stage and they(City) have also ever progressed past this round on only one occasion in the past, back in 2015/16 when they where defeated in the semi finals by Real Madrid. It is high time City’s powers are tested fully as they have swept apart their opponents in the domestic league and what better way to prove their worth by toppling the sides they face in Europe. Basel may not be ideal for them at current form but its the huddle they need to get past first on their way to the huge stumbling blocks that await them in the next rounds. Cristiano Ronaldo’s Real Madrid stand in the way of PSG. Photo by Agencies. Juventus will host the first leg of this tie after finishing behind Barcelona in group D while Spurs topped a strong group H which consisted of two time defending champions Real Madrid and 2013 finalists Borrusia Dortmund. Juventus have to do without a quartet of first team players as star player Paulo Dybala, Midfielders Blaise Matuidi and Juan Cuadrado plus defender Andrea Barzagli. Brazilian winger Douglas Costa is also a doubt as he continues his recovery from a Hamstring injury. Tottenham Hotspurs have been dealt a major blow as defender Toby Alderweireld has not traveled with the team as he eases his recovery from a Hamstring injury suffered in Novenmber. The only other absentees for the North London side are fellow defenders Juan Foyth and Kyle Walker-Peters. Juventus are in some form currently despite seating second in the Italian Serie A as the Turin side have conceded only one goal in their last 16 matches in all competitions and in the process won 14 of them whilst drawing the other two. This will be the first competitive meeting between the clubs but this fixture sees one of four teams still unbeaten in the competition(Spurs) take on a Juventus who have lost only two of their past 19 Champions League games (v Real Madrid in last season’s final and Barcelona in this season’s group stages), winning 12 and drawing five. Tottenham have reached the knockout stage of the Champions League for the second time in three appearances but have never progressed further than the quarter-finals. For Juventus, they enter into the game unbeaten at home in the competition for the last 22 games since Bayern Munich beat them in Turin, back in April 2013. It will be a huge test for Mauricio Pocchetino’s men against another giant in Europe after humbling Real Madrid in the group stages and if they can manage to eliminate Juventus, who knows where their adventure may lead them. Leroy Sane has been included in the team to face Basel on Tuesday night. Photo by Agencies. Porto will be hoping to have Ivan Marcano available. The defender has a thigh problem and his absense could leave Porto paper thin at the back as Fabiano is a long-term absentee with a cruciate ligament injury and Felipe Monteiro is suspended. Midfielder Andre Andre will also miss out with an ankle injury, while Danilo Pereira and leading scorer Vincent Aboubakar are both doubtful. For Liverpool, they will be without Midfielder Emre Can who serves a one match suspension and Nathanial Clyne a long term absentee but defender Alberto Moreno is in contention after recovering from Injury. Jordan Henderson is expected to start after he was rested for Saturday’s 2-0 win at Southampton but Jurgen Klopp will also be hoping to have Joe Gomez available again. Despite winning only half of their group stage matches, Liverpool managed to top Group E above Sevilla, Spartak Moscow and Maribor as for Porto, the Portuguese side finished as runners-up in a difficult Group G, above RB Leipzig and Monaco, but behind Besiktas. Porto haven’t lost a single competitive match since the group stages ended either, winning 12 of their 14 matches and taking themselves to 2nd in the Primeira Liga, just a point behind leaders Benfica. However, during this time they haven’t faced a side of Liverpool’s quality, and this will be a huge test for them. The visitors are in fine form at the moment as well, beating Southampton at the weekend to make it seven wins from their last ten competitive matches. The two side have met once in the Champions league before as they played out a 1-1 draw here before Liverpool won the return leg at Anfiled 4-1 during the 2007/08 group stages. Neymar has greatly improved PSG but they face a major test when the French league leaders take on Real Mdrid at the Bernabue. Photo by Agencies. Los Blancos will be missing the vital services of their incredible right-back Dani Carvajal due to a card suspension and will also be without defender Vallejo to a hamstring injury. Dani Ceballos should return from a sprained ankle on February 8, but he is expected to be on the bench while Gareth Bale should make a proper start after a long season of injuries and make a major impact. The Parisians have no significant injury except that of Ben Arfa. Midfielder Thiago Motta has come back and came on as a sub in the cup game against Sochaux. PSG manager Unai Emery will have a pleasant selection headache while selecting his three forwards in his preferred 4-3-3 formation from Di Maria, Mbappe, Cavani and Neymar. Di Maria if selected will be facing his former side and looking at his recent form which has seen him score five goals in his last three starts, he will surely be a handful for Real’s porous defence that has conceded eight goals in their last five outings. The last time the two teams faced competitively was in the group stages two seasons ago. 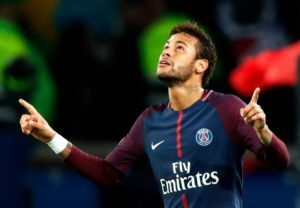 However, the form and quality of the two teams at the moment is vastly different as the French side have added one of the best players in the world, Neymar and have enjoyed better form in the league and Europe. Real Madrid are enduring one of their worst seasons in recent memory, although the defending Champions League holders are still in contention to win a third straight European Cup. Zinedine Zidane’s side remain 4th in La Liga following Saturday’s 5-2 win over Real Sociedad. By Madrid’s standards, their recent record of 4 wins in their last nine is well below par.